Texture gun for spraying stipple ceilings. Cast aluminum gun for long wear. Hopper is angled for spraying walls or ceilings. Sprays a variety of textures. Use with a compressor that has 6.25 c.f.m at 20-25 psi for best results. 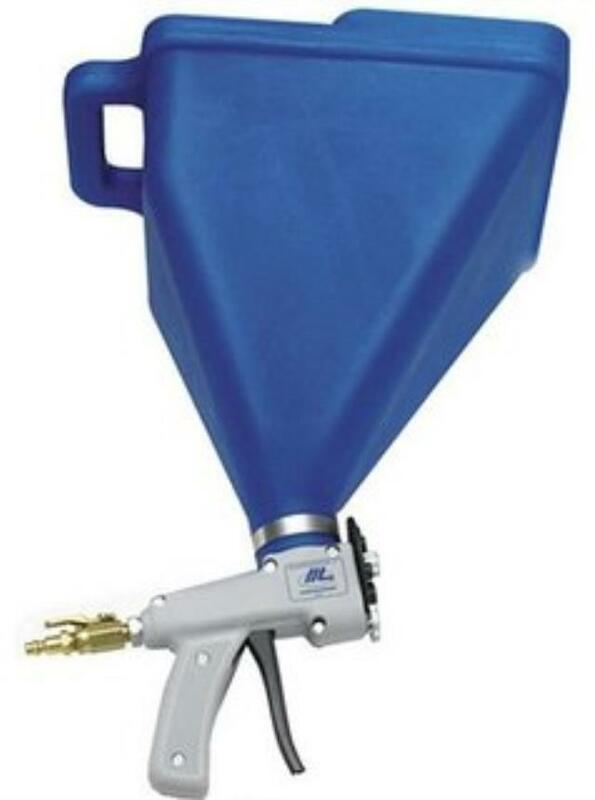 * Please call us for any questions on our texture gun hopper rentals in Calgary, Alberta.